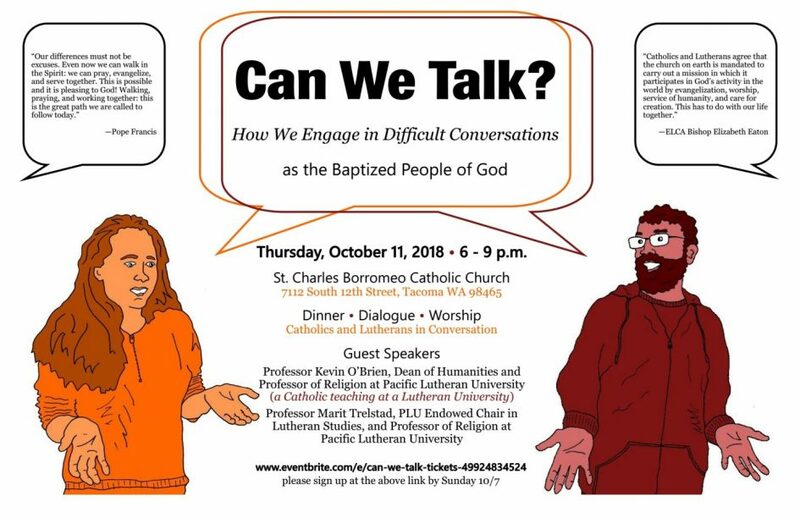 Thursday, October 11, 2018 • 6-9 p.m.
For meal preparation purposes we ask that you kindly RSVP by Sunday, October 7, 2018. Visit the CAN WE TALK? Eventbrite event page and click the green “REGISTER” button to RSVP. Visit the CAN WE TALK? Facebook event page and click the blue “Get Tickets” button to RSVP. The event is free. A freewill offering will be available to help offset the cost of the meal.